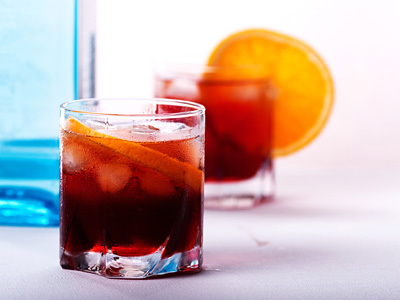 If you are an avid fan of Campari or like the bitter cocktails then this Italian cocktail is for you. The sweet vermouth helps bring down the bitterness while fizz of a club soda makes it refreshing and rejuvenating. Best enjoyed when served as before-dinner drink. 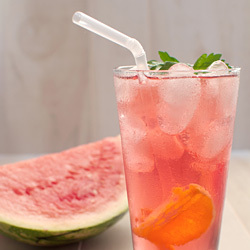 Fill serving glass with ice cubes until half. Pour first two ingredients over ice one after another and top with club soda. Garnish Americano drink with orange wheel and serve.